In a trust, a party known as the trustee has legal ownership of property transferred to him by the person making the trust (the grantor). Trust assets are invested and or managed for the benefit of one or more beneficiaries. 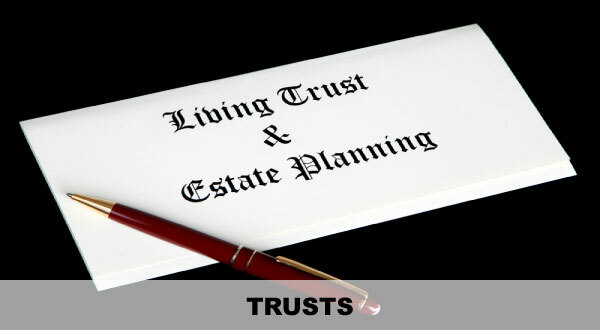 A trust can be living, that is, established during the grantor�s lifetime, or testamentary, established in a will. A trustee can be either an individual or an institution, such as a bank. A revocable living trust lets you enjoy all the benefits of a trust and control the transfer, management, and disbursement of your assets. You retain full authority over the assets in your trust. You or any person or organization can act as trustee. The terms of the trust can be changed or revoked anytime during your lifetime if circumstances or family relationships change. An irrevocable trust may help you reduce taxable income, capital gains, or estate taxes; support a family member; or fund a favorite charity. The trust then stands as a separate taxable entity and pays tax on its accumulated income. However, an irrevocable trust cannot be changed, altered, or modified once established. A charitable remainder trust enables you to make a large donation to a charity while you generally collect some tax benefits. An irrevocable life insurance trust may keep the proceeds of your life insurance policies from being included in your taxable estate. Under current tax law, at the death of the first spouse, the estate can utilize an unlimited marital deduction. This transfer of assets to the surviving spouse can be in trust. The surviving spouse usually has access to some or all of the trust assets in addition to receiving income from the trust at least annually. The spouse is given a life estate with a general power of appointment over the trust estate, meaning the surviving spouse has control over the trust and it is included in his or her taxable estate at death. The trust allows management of the assets by the trustee designated by the grantor (the first to die). The Qualified Terminal Interest Property Trust (QTIP) is a more restrictive marital trust eliminating control over the trust corpus, but still allowing for the unlimited marital deduction. The QTIP Trust is included in the taxable estate of the surviving spouse. A Qualified Domestic Trust is a marital trust for non-U.S. citizens who are residents of the U.S., which preserves the unlimited marital deduction until the death of the surviving spouse or until the trust corpus is distributed. A Credit Shelter Trust generally pays income to the surviving spouse until he or she dies, and it may distribute principal to family members or others named as trust beneficiaries. At the death of the surviving spouse, the assets can pass directly to trust beneficiaries or be managed in the trust for their benefit. Under current law, these trusts can prevent married couples from losing the value of the applicable credit of the first spouse to die. A Special Needs Trust provides benefits, by means of a trust, to a beneficiary who would otherwise lose eligibility for public assistance (Supplemental Security Income (SSI) or Medicaid). The beneficiary is one who qualifies for public assistance by reason of some disability that makes that person unable to hold meaningful employment and with insufficient assets to provide adequate support. Plan your future and the future of your loved ones. Contact an experienced trust attorney at Pinard Law, LLC without delay to ensure that your estate is distributed to your chosen beneficiaries while paying a minimum of taxes and administration expenses. A trust attorney at Pinard Law, LLC can help you utilize a variety of trusts to help you achieve your estate planning goals.